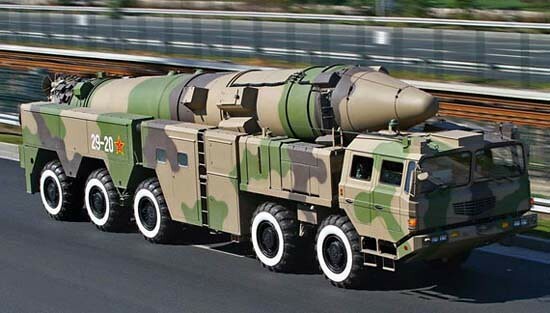 PLA DF-21D ASBM. Image by Wikimedia user Terrorfalc. Note: The following is a draft research project I recently wrote, which I’ll be publishing serially over the next week. China’s development of powerful asymmetric capabilities is the greatest challenge to US power projection since the Second World War. Continued advances in anti-access/area-denial weapons and strategies are likely to shift the most important determinant of military victory from force superiority to locality; if inferior forces can asymmetrically deny superior adversaries control over a local battle space, they can cheaply achieve strategic victory. This bodes poorly for the US, whose control over distant spheres of influence in the Western Pacific is highly dependent on the ability to project power. Given America’s relatively peripheral interests in East Asia, the growing Chinese defense budget and the increasingly high costs of war, a risky US containment strategy towards China is no longer feasible. If China enjoys the ability to deny US forces local operational freedom, American security commitments in the region will become an increasingly transparent bluff. China’s rapid economic growth heralds the first rival in the position to challenge US military hegemony on a near-peer basis since the end of the Cold War. While the United States currently spends a much larger portion of its GDP on defense, China’s military expenditures are rapidly increasing and are forecast to possibly surpass the United States’ by 2035. Of course, military spending does not directly translate into military capabilities, and the People’s Liberation Army (PLA) lags far behind US and allied forces in equipment, training, and the competence and officer corps experience. However, despite this capability gap China’s rapidly modernizing forces are the greatest conventional challenge to face the US military since the dissolution of the USSR. While the United States remains the sole global hegemon, the day is approaching when this will no longer be the case, and America must adapt to an increasingly multipolar world. This shift is especially pronounced in the Western Pacific, where the stable military superiority the United States has enjoyed for the last half century is deteriorating—America will have less power to impose its policy preferences on the region tomorrow than it does today. Less obvious is how China‘s leaders view the United States. “China views the United States as a declining power, but at the same time believe that Washington is trying to fight back to undermine, and even disrupt, the economic and military growth that point to China’s becoming the world’s most powerful country,” the New York Times recently wrote, citing a Chinese analyst. This outlook is not unjustified. America has followed a policy of limited engagement with China, accommodating its ascendant rival while also attempting to contain China. This mixed strategy is a product of American uncertainty about what type of China it faces: either a satisfied China comfortable with the existing world order or a dissatisfied China committed to aggressive expansion. Accordingly, Beijing sees the United States as attempting to delay its inevitable rise to world power status, and the PLA leadership perceives the United States as its greatest threat. China seeks to counter US influence in the western Pacific, which it views as its rightful sphere of influence. Assessing China’s ability to displace America and its allies’ military supremacy in the region is a difficult task. The Chinese military establishment, like the rest of the Chinese government, is extremely secretive and unconstrained by the transparency measures legally required of democratic governments. Despite this uncertainty it is clear that the PLA is rapidly modernizing, and China is restructuring its armed forces. The People’s Liberation Army has traditionally followed a “quantity over quality” philosophy, relying on its massive number of soldiers to overwhelm a technologically superior foe. This strategy grew out the ideas of Mao’s “People’s Revolution,” but was also dictated by China’s poverty, chaotic politics, and lack of advanced weapons systems; sheer numbers was China’s only comparative military advantage. While this strategy was reasonably effective in Korea, today’s leadership sees it as increasingly incompatible with China’s status as a modern world power. Today the Chinese military is downsizing its massive Cold War-era land forces, cutting personnel costs, and freeing up funds for advanced air and maritime weapons systems. The results have been impressive. Previously primitive, Chinese aircraft and shipbuilding industries have rapidly matured, though they are still at least a generation behind the technological sophistication of the West and Russia. While China’s military lags far behind the United States’ power projection ability, the day is coming that it can challenge US forces for regional supremacy in what China sees as its rightful sphere of influence, the Western Pacific. China’s strategic outlook is driven by concerns over its sovereignty, the necessity of continued economic growth, and a desire for regional hegemony. These concerns are all increasingly maritime. Geographically China is a maritime state, with a 6,000 mile long coastline and thousands of offshore islands, and an extensive exclusive economic zone. However, the Chinese state has historically neglected maritime issues. Imperial China saw itself as a continental power with strong isolationist tendencies, and in the post-Revolutionary era the Chinese concept of national security was limited to border security. After the 1960s Sino-Soviet split China perceived the USSR, not America, as its greatest external threat, and invested in the powerful ground forces necessary to fight a war on its long northern border. Conflict with China’s other continental neighbors, most notably India and Vietnam, also encouraged prioritizing the army over the navy. Accordingly, the People’s Liberation Army Navy (PLAN) enjoyed less political status and funding than the army, and was dedicated to littoral defense. In addition to a northern-looking security outlook, Mao’s favored ideology stressed the importance of rural, decentralized communism, ideals a necessarily technocratic navy was excluded from. This bias is reflected in its official name; the term “People’s Liberation Army Navy” makes the navy’s subordinate position to the army clear. Today China’s strategic concerns are nearly all maritime; interests that, in Bernard D. Cole’s words, “range from the Arctic to the Antarctic”. After the end of the Cold War Russia transformed from enemy to ally and arms supplier, and China has managed to diplomatically resolve the majority of its non-maritime territorial disputes. The question of Taiwanese independence remains China’s paramount diplomatic concern, and China appears to resent US hegemony in the Western Pacific. China is also concerned about the prospect of Japanese rearmament—understandable, given Japan’s brutal occupation of eastern China during the 1930s and 40s—and the United States’ increasingly close relationships with smaller countries in the region, angered by China’s increasingly aggressive foreign policy. Beyond Japan Chinese military concerns include countering a rising India, and defending China’s land and sea borders. Other potential flashpoints are China’s territorial claims in the South China Sea, which are disputed by neighboring nations. These claims’ importance in the minds of the Chinese leadership is disputed; while Cole sees them only superseded by the Taiwan issue, Crane et al. believes them to be on the bottom of China’s maritime priorities. China claims nearly the entire South China Sea as part of its exclusive economic zone; a claim viewed as excessive and unlawful. “In the near to medium term,” writes Zhang, “unifying Taiwan with the motherland and recovering China’s sovereign islands is both the great historical mission that the Chinese government must shoulder and a necessary foundation for China to safeguard its national sea rights.” China’s state-run newspapers have run bellicose editorials warning its rivals to abandon their territorial claims or face war, and confrontation over these islands is the regarded as the most likely source of conflict in the near future. The discovery of energy resources in the South China Sea’s continental shelf has raised the conflict’s stakes, particularly considering that output from China’s main domestic oil field is predicted to decline in the near future. China’s economy is also increasingly dependent on maritime security. Like the United States, the strength of China’s economy depends on its ability to protect vulnerable maritime trade routes, which carry 90 percent of Chinese exports. Safeguarding these sea lines of communication is vital, as China’s leadership fears that a slowdown in economic growth could spark feared social unrest. Accordingly, protecting the maritime commons is one of the primary missions of the PLAN. In addition to foreign trade, China’s economy also relies on continued access to energy, the bulk of which through vulnerable geographic choke points. China’s rapid economic growth has increased its demand for oil, and 25 percent of China’s imports are sourced from the unstable Persian Gulf. The large majority of these imports are forced through the Strait of Malacca, a natural choke point. Closing the Strait, even temporarily, would strangle the Chinese economy; China’s leaders are acutely aware of this vulnerability. In addition to the Strait of Malacca, vital sea routes to and from China pass near the disputed Spratly Islands, another vulnerability. Farther from China’s shores oil imports from the Persian Gulf must pass through the Strait of Hormuz, which Iran has repeatedly threatened to close. The United States Navy is committed to keeping the Strait open; the USN 5th Fleet is based in nearly Bahrain, and America maintains a continuous carrier strike group deployment in the region. However, the Persian Gulf is roughly 7,000 miles by sea from China, and without blue water navy China does not have the ability to safeguard its economic interests. As long as China cannot safeguard global sea lines of communication, and China’s leadership is acutely aware that its economic security is dependent on others. China's sea lines of communication. DoD, 2006. Under the leadership of Admiral Liu Huqaing, during the 1980s China began to devote increasing resources to fielding a capable fleet, transitioning from a doctrine of limited “coastal defense” to “offshore defense” farther from China’s shores. This shift accelerated after the fall of the Soviet Union and resolution of China’s outstanding continental border disputes, which allowed China to shift its military spending to the sea and air forces relevant to its new maritime outlook. Today China’s military possesses numerous advanced surface ships, submarines, and modern aircraft capable of operating far from China’s shores. While the PLAN is not yet a “blue-water” navy—capable of global open ocean operations—it has grown into a capable regional “green water” force.Emboldened by its growing capabilities, Chinese foreign policy has grown more aggressive, particularly with regards to the South China Sea territorial disputes. Importantly, some observers have theorized that this new found aggressiveness is driven by the PLA leadership, not the civilian foreign ministry. While China does not represent a threat to America’s global dominance in the foreseeable future, China military modernization is challenging the United States’ ability to project power close to Chinese shores. The US military is not prepared to counter this threat to its regional superiority, and America’s approach to a nascent near-peer competitor remains based on its Cold War experience. US post-Cold War strategic outlook has been based on the idea that the United States can pursue a mixed strategy of limited engagement and containment until the prospect of a hostile near-peer competitor emerges; when one does, the United States will have time to shift towards a pure containment strategy. This strategy suffers from a significant weakness. Pivoting US force structures to counter an emerging near-peer rival depends on the opponent electing to pursue a symmetric structure—if China makes a costly to reach force parity with the US, American policymakers will have time to adapt and counter the threat. However, if China rationally avoids this losing strategy the US will struggle to adapt. If China instead bypasses and negates US strengths, it can be expected to deny the United States the ability to project power in China’s desired sphere of influence much sooner. Crane, Keith, Roger Cliff, Evan Medeiros, James Mulvenon, and William Overholt. 2005. Modernizing China’s Military: Opportunities and Constraints. Santa Monica: RAND Corporation, xxv. The Economist. 2012. “The dragon’s new teeth: A rare look inside the world’s biggest military expansion.” 7 April. Gartzke, Erik A., and Jonathan N. Markowitz. 2011. “Fence Sitting in U.S.-China Policy: Why a Strategy of Limited Containment Will No Longer Work.” 30 September, 2. Crane et al. 2005, xxii; Godwin, Paul H. 2007. “China’s emerging military doctrine: A role for nuclear submarines,” in China’s Future Nuclear Submarine Force. Ed. Andrew S. Erickson, Lyle J. Goldstein, William S. Murray, and Andrew R. Wilson. Annapolis: Naval Institute Press, 44. Cheung, Tai Ming. 2009. Fortifying China: The Struggle to Build a Modern Defense Economy. Ithaca, NY: Cornell University Press, 25. Crane et al. 2005, 180. Cheung, Tai Ming. 1990. Growth of Chinese Naval Power. Singapore: Institute of Southeast Asian Studies, 59. Zhang Wenmu. 2006. 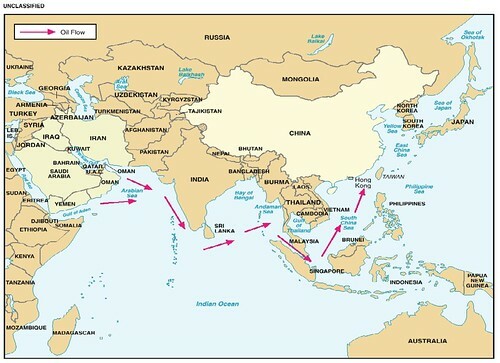 “Sea power and China’s strategic choices.” China Security, Summer 2006: 17-31, 21. Cole, Bernard D. 2007. “Chinese maritime strategy,” in China’s Future Nuclear Submarine Force. Ed. Andrew S. Erickson, Lyle J. Goldstein, William S. Murray, and Andrew R. Wilson. Annapolis: Naval Institute Press, 24. Chen Te-Men. 2003. “Assessment of the PLAN’s modernization.” In Taiwan’s Maritime Security. Eds. Martin Edmonds and Michael M. Tsai. New York: RoutledgeCurzon. 3-14, 3; Schuster, Carl Otis. 2012. “China: Its maritime traditions and navy today.” In Sea Power and the Asia-Pacific: The Triumph of Neptune? Eds. Geoffrey Till and Patrick C. Bratton. New York: Routledge. 56-74, 57. McDevitt, Michael, and Frederic Vellucci Jr. 2012. “The evolution of the People’s Liberation Army Navy: The twin missions of area-denial and peacetime operations.” In Sea Power and the Asia-Pacific: The Triumph of Neptune? Eds. Geoffrey Till and Patrick C. Bratton. New York: Routledge. 75-92, 78. McDevitte and Vellucci 2012, 75. Godwin, Paul H. 2007. “China’s emerging military doctrine: A role for nuclear submarines,” in China’s Future Nuclear Submarine Force. Ed. Andrew S. Erickson, Lyle J. Goldstein, William S. Murray, and Andrew R. Wilson. Annapolis: Naval Institute Press, 48. Office of the Secretary of Defense. 2012. Annual Report to Congress: Military and Security Developments Involving the People’s Republic of China. May, 2. Crane et al. 2005, 197. Xu Qi. 2004. “Maritime geostrategy and the development of the Chinese Navy in the early twenty-first century. Translated by Andrew S. Erickson and Lyle J. Goldstein. 2006, Naval War College Review 59, 4: 47-67, 53. Sakhuja 2011, 14; Cheung 1990, 3. Cole 2001, 32; Johnson, Kevin R. 2012. 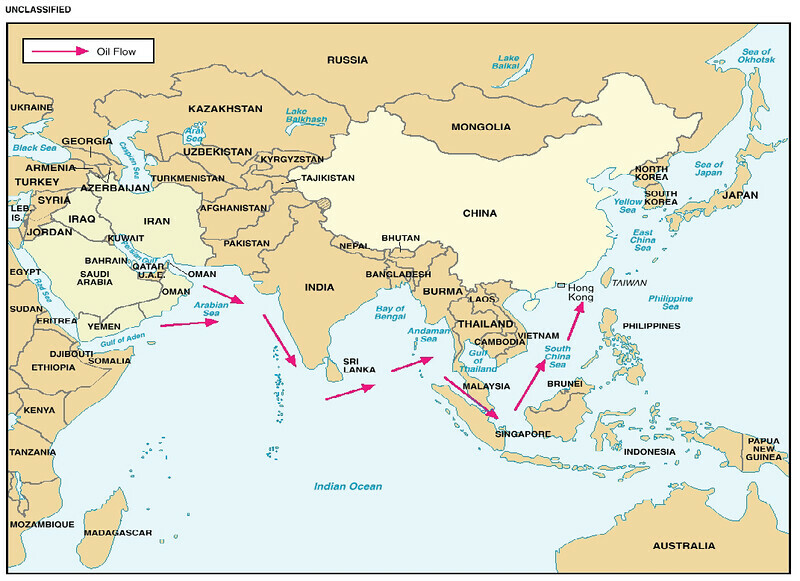 “Maritime power and the Asia-Pacific: US naval perspectives.” In Sea Power and the Asia-Pacific: The Triumph of Neptune? Eds. Geoffrey Till and Patrick C. Bratton. New York: Routledge. 46-55, 48. Bateman, Sam, and Chris Rahman. 2003. “The PLAN’s rise and East Asian security.” In Taiwan’s Maritime Security. Eds. Martin Edmonds and Michael M. Tsai. New York: RoutledgeCurzon. 15-39, 19. Sakhuja 2011, 81; Cheung 1990, 4. Cole 2001, 41; Chen 2003, 10; Johnson 2012, 51. Sakhuja 2011, 83; Schuster 2012, 57. Crane et al. 2005, 224. Sayers, Eric. 2010. “A framework for influencing PLA procurement trends.” Joint Forces Quarterly 58, 3: 89-93, 90. Van Tol, Jan, Mark Gunzinger, Andrew Krepinevich, and Jim Thomas. 2010. Air Sea Battle: A Point of Departure Operational Concept. Center for Budgetary and Strategic Assessment, 1, via McDevitt and Vellucci 2012, 81. Krepinevich, Andrew F. 2010. “Why AirSea Battle?” Washington DC: Center for Strategic and Budgetary Assessments, 10.